Ukraine's Cabinet of Minister has approved a bill on termination of the intergovernmental agreement signed with Russia on July 1, 2003 on the liquidation of the procedure for returning aircraft staying at repair plants of the Ukrainian and Russian defense ministries. The bill drawn up by the Economic Development and Trade Ministry was backed at a government meeting on Wednesday. The agreement signed by the two countries in July 2003 and took effect in September 2007 describes the condition of liquidation of five Russian heavy bombers Tu-95 equipped for nuclear arms at the production facilities of Bila Tserkva (Ukraine). It was aimed to execute the agreement on strategic offensive weapons dated 1991. The agreement also envisages the mutual return of aircraft engines staying at the repair plants of the Ukrainian and Russian defense ministries. 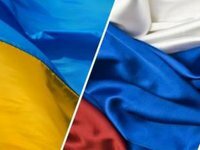 Ukraine in June 2014 imposed a ban on military and technical cooperation with Russia, including double-purpose products. The Ukrainian government in May 2015 terminated the intergovernmental agreement with Russia in the military and technical cooperation sphere signed in 1993.